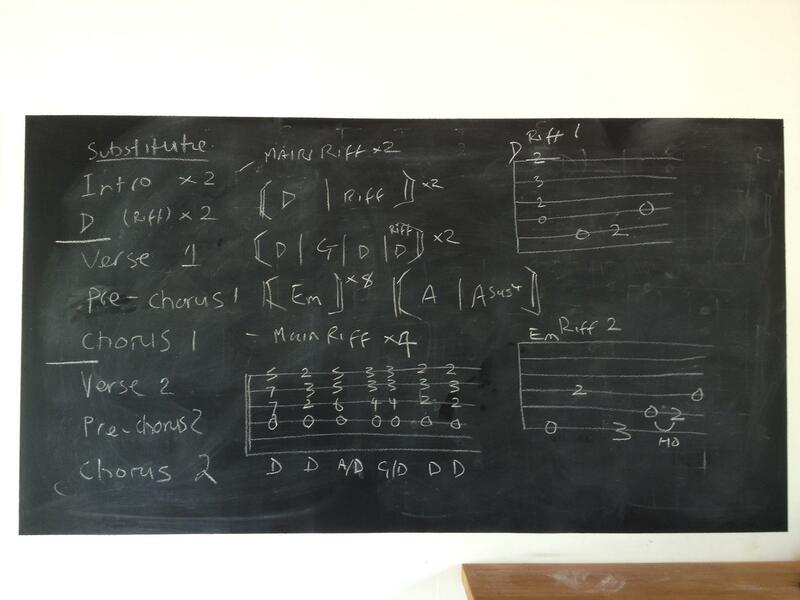 Once everyone had run through their physical and technical exercises in the early morning sunshine the group reconvened in front of the black board at the music room for a session on diatonic triads (R, 3, 5). These three note chords form the basis of the intro to The Who track ‘Substitute’. After the morning coffee break the class honed their skills on the track ‘Substitute’; working on the intro, verse, pre-chorus and chorus sections and learning the song structure before lunch. 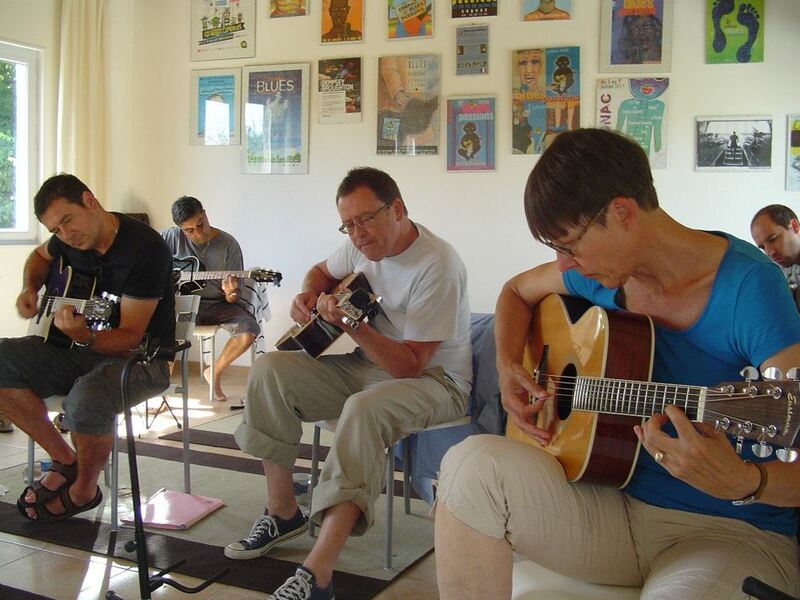 The afternoon session began with our first foray into the finger picking style. The group had chosen Jeff Buckley’s cover of the Leonard Cohen classic ‘Hallelujah’ as our focus piece. The song is played in 6/8 time and in the key of C Major. Jeff’s cover version uses a capo on the fifth fret, but you can also play it with open chords without the capo, as follows. Above: The class work studiously on Day #2! This entry was posted in Day #2 and tagged Bath Guitar School, Capo, Europe, Guitar Holiday, Guitar Holidays in France, Guitar Vacation, Hallelujah, Jeff Buckley, Leonard Cohen, Music Holiday, Richard Perkins, Substitute, The Who by Richard Perkins. Bookmark the permalink.